Somalis are a special cat. 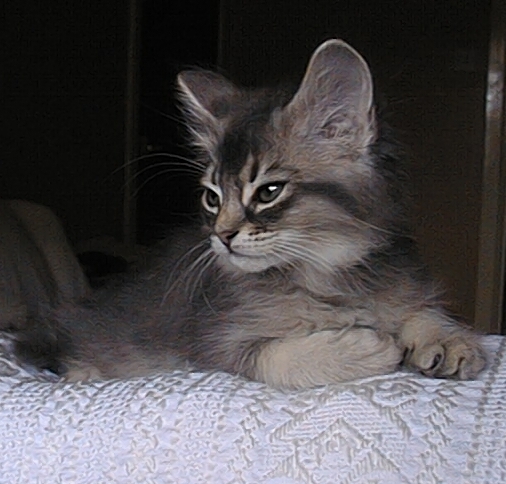 They are an active cat with a wild look & a ticked coat. The rear view of a Somali busily hurrying away with its plumed tail (so squirrel like) held upright & it's. booted feet with the furry breeches above is a sight to bring a smile to the face direct descendant of the Abyssinian cat the Somali has retained a 'wild, lynx like' look which belies it's personality. Somalis have a gentle loving nature, they get along well with dogs & with their gentleness & sense of fun make a great pet for older children. 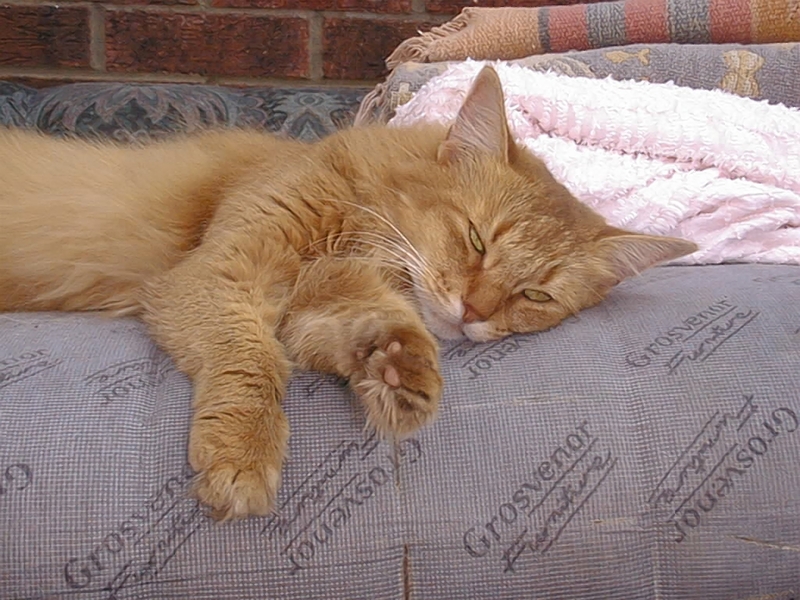 A sometimes-mischievous cat the Somali will rush around trilling to itself finding 'things' to investigate & play with. 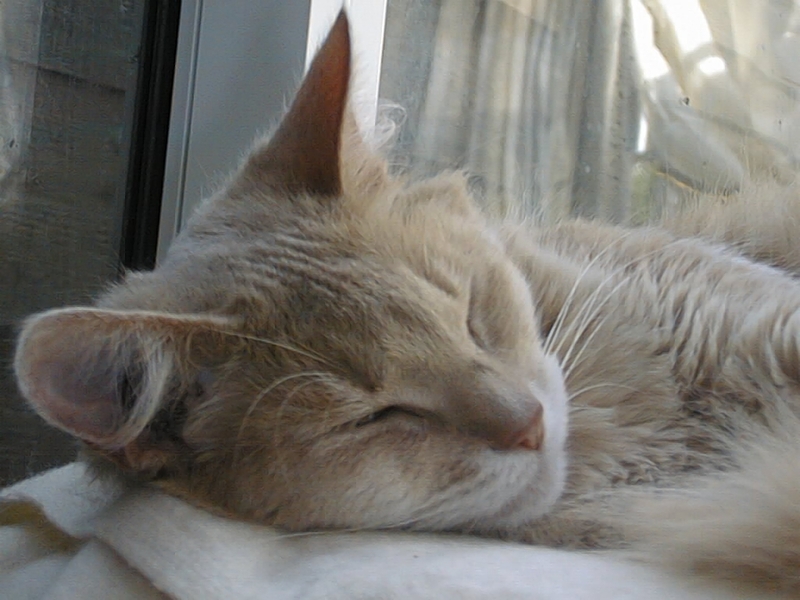 Anyone who has heard a Somali purring & trilling at the same time will tell you it's one of the happiest sounds in the world, (once they get their hearing back) - the Somali has a VERY LOUD purr. Somali's will make friends with everyone.and welcome attention & cuddles. Above all Somalis are very intelligent & can be taught to walk on a harness & some will even retrieve a toy for you to throw again. 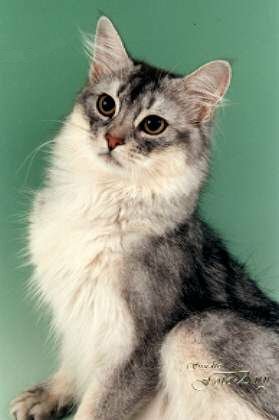 The Somali is the only semi longhaired breed of cat with bands of two colours alternating on every hair which makes the coat sparkle. Some other sites of interest. 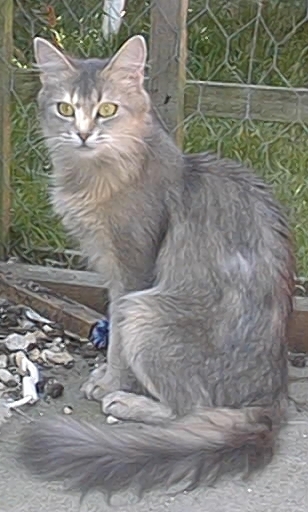 Blue Silver kittens born 11 March 1999. Mother & daughter (Mother does most of the work) We started breeding Somalis in 1994 & started with two queens, we now have four & a stud boy (pictured above). Barbara fosters 'difficult' and/or disturbed teenagers & started this new career after retiring early from the bank.